December 13 - 16, 2018. Thursday dinner - Sunday lunch. REGISTRATION CLOSES AFTER THURSDAY, DECEMBER 6TH. On the sacred land of Breitenbush, we experience nature’s Winter Solstice invitations as a deep restoration of the mind and body. Yoga brings this restoration into every cell of the body. As we awaken our hearts and minds, renew our vitality and radiance, and rest deeply into the innate sacredness of life, we are returned to the vastness, ease and compassion that is our native heart. The schedule includes early morning pranayama and meditation practices, mid-morning and afternoon asana practices, and a Saturday evening Dharma discussion. This retreat is for students of all levels enthusiastic about the beauty, intricacy and power of asana as a gateway to stillness, expansiveness and love. Sarahjoy Marsh, MA, E-RYT 500, certified yoga teacher, yoga therapist, and author, is a vibrant, compassionate catalyst for transformation. Clear-hearted and sensitive toward our human condition, Sarahjoy ignites a person’s confidence in themselves as capable of traversing the challenges and joys of awakening from suffering. Through her decades of work with a wide variety of people, she has created an accessible library of tools that develop the life skills people need to re-create health (both physical and mental); to internalize their sense of worth, belonging, and capacity; and to thrive emotionally, psychologically, and spiritually. Committed to supporting marginalized populations and using yoga for social justice, she founded two non-profits. Living Yoga and DAYA Foundation. DAYA brings yoga and mindfulness tools to prisons; to those with addiction, anxiety or depression; to those with medical issues such as cancer, multiple sclerosis and Parkinson’s disease; and to others who would not be able to attend yoga classes because of social, financial or physical constraints. 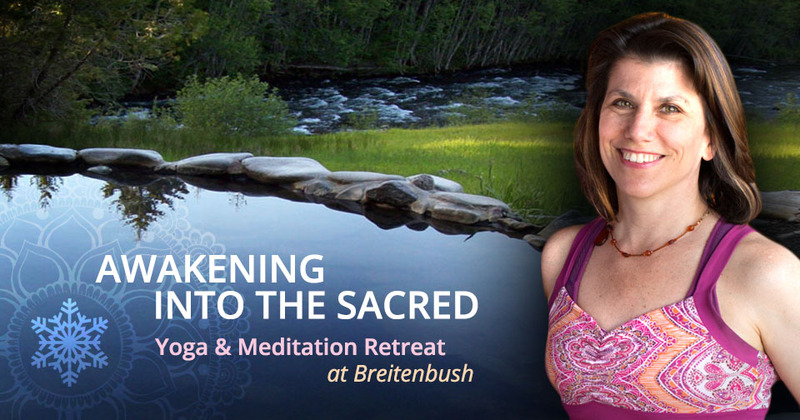 A sought after teacher of teachers, she leads multiple retreats, immersions, and trainings in the Pacific Northwest and internationally, and is a regular instructor at Kripalu Yoga Center and Breitenbush Hot Springs. She teaches 200- and 500-hour yoga teacher and yoga therapy trainings in Portland, Oregon; as well as a 200-hour teacher training program in prisons for incarcerated adults to become yoga teachers on the inside. Cancellation & Refund Policy: Please note that the cost of the retreat and the cost of lodging have different Refund Policies: The cost of the retreat, $345, is non-refundable after November 28th, 2018. Retreat Cost: Yogajoy will grant refunds for the cost of the retreat prior to November 28th minus a $50 administration fee. Lodging Cost: In accordance with the Breitenbush Refund Policy, if notice is given within 7 days of the start of the retreat, a credit will be issued for the cost of Breitenbush lodging minus a $20 handling fee.